Under the agreement, Bell will use its market sway as Canada's largest communications provider to distribute a variety MobileFirst for iOS solutions across multiple industries including energy and utilities, government, manufacturing, retail and more. The telco will be Canada's sole provider of MobileFirst for iOS apps, the company said in a statement. Like previous deployments in the U.S., IBM's deployment through Bell will combine the former's app designs and backend analytics with the latter's LTE mobile network. The combination promises to assist professionals in the field by providing real-time data analytics and actionable information. 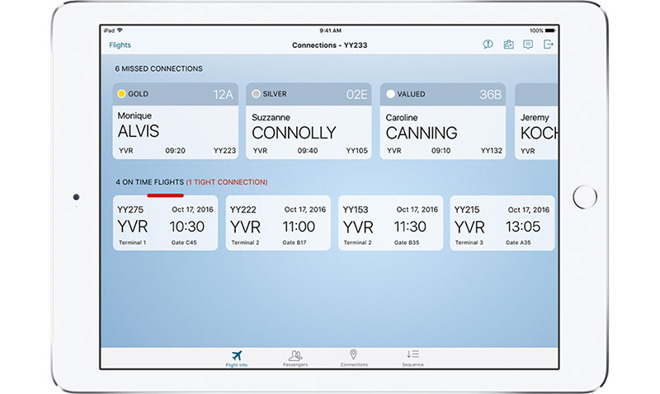 "By combining Bell's network leadership with our expertise in consulting and system integration, Canadian businesses now have a powerful mobile platform that improves business processes and elevates on-the-go employee productivity," said Mahmoud Naghshineh, general manager of Apple Partnership at IBM. With MobileFirst, first responders can crosscheck GPS coordinates with real-time location data to better manage emergencies, for example. In retail, buyers and business planners can leverage MobileFirst tools to remotely monitor inventory at different locations. The MobileFirst initiative debuted in 2015 through a strategic partnership between Apple and IBM to create business solutions built around Apple's iOS platform. As part of the agreement, IBM handles hardware leasing, device management, security, analytics, mobile integration and on-site repairs, while Apple provides a hand in software development and customer support through AppleCare. Most recently, IBM last October integrated its Watson cognitive computing technology with MobileFirst apps to bring natural language processing, deep data analytics and more to iOS 10 apps. That same month also saw the introduction of IBM Watson Element for educators, an iPad app designed to track a number of student metrics, from academic performance to behavior.